Chella Stivers is currently the Community Manager at The Berkley Apartments for Monarch Investments. She is the current Chairperson for the Education Committee. She is the former President and Vice President, plus served as the Chairperson for Membership Committee and Professional Careers & Development Committee over the years. 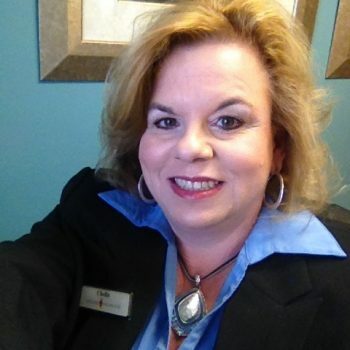 She currently holds the CAM (Certified Apartment Manager) designation through the National Apartment Association and the ARM (Accredited Residential Manager) designation through the Institute of Real Estate Management. She has also served on the board for the Arkansas Multi Family Housing Association and has been in the business since 1991. Chella & Steve have been married for over 22 years and have 2 beautiful daughters, Cassidy & Carly. She is active in her church and a member of Trinity’s Thunder Motorcycle Ministry.